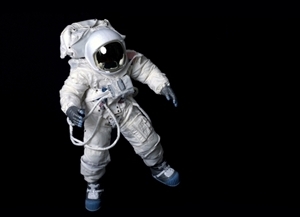 Almost every kid dreams of being an astronaut at some point in his or her childhood. The allure of outer-space adventure and dazzling special effects are sure to capture the imaginations of sons and daughters alike, at least those that are a bit older. This space tale is more than eye candy, however, and makes for an emotional as well as visual journey through the extra-terrestrial frontier. The PG-13 rating isn't without reason, though it's more a warning to consider what your kid is ready for rather than a call to restrict it from younger children outright. The film contains some strong language and disturbing images, though these are brief and not prominent aspects of the movie. The intense and thrilling action sequences of the movie could be a bit much for younger kids, though the older ones should be able to handle it without too much difficulty. The tension of the movie is sustained by the constant threat of death. The ominous silence of the void is always right there waiting to swallow up the astronauts struggling to survive against the odds. Some kids may have trouble dealing with this theme, but it's nothing a fairly mature son or daughter couldn't grapple with. As far as action and edge-of-your-seat excitement go, this movie definitely has it going on. Whatever rest the characters have from the persistent dangers of space is brief, and they're constantly confronted with new and unexpected challenges. The special effects are cutting edge and visually stunning, making the action that much more intense. Though the tension and thrill are consistent, there's a bit of a psychological element to the film. The longest stretch without action is a sequence that explores the personal life of Sandra Bullock's character, Dr. Ryan Stone, and is a bit less exciting than the intense scenes surrounding it. This could be the lamest part of the movie, depending on how much you're into character psychology. If you're into that kind of thing, the acting and cinematography are excellent at capturing the emotions of people in a desperate struggle for survival in a hostile and impersonal environment. For a father and son or father and daughter experience, this flick isn't bad. The theme of the movie could provide the occasion for a discussion of deeper aspects of life or for getting closer by reaffirming the importance of loving relationships. At the very least, "Gravity" will leave you and your kids sharing moments of amazement and saying "Wow, wasn't it cool when … !?"